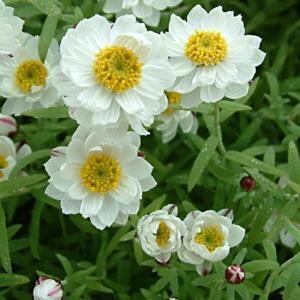 Small, semi-alpine perennial with small, narrow, greyish-green leaves up to 25 mm long. Flowerheads with yellow centres surrounded by white, papery bracts. about 20 to 30 mm across, are produced over a long period between late winter and early autumn. 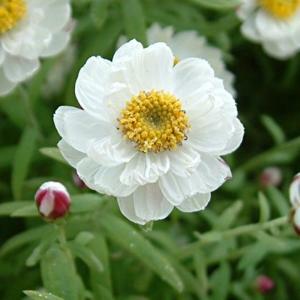 Very well drained soil in full sun or part shade in hot locations. Hardy but dislikes excessive winter wet. Trim back after flowering to keep tidy. Suitable for a rock garden, scree or alpine house. Native south-eastern Australia and Tasmania.